Deaf Centre Manitoba Inc.: No Bingo Event under Manitoba Deaf Seniors Club (MDSC) due to Easter long weekend! No Bingo Event under Manitoba Deaf Seniors Club (MDSC) due to Easter long weekend! Manitoba Deaf Seniors Club (MDSC) Board would like to inform you all that there is NO BINGO on Friday, March 25th due to Statutory Holiday (Good Friday). 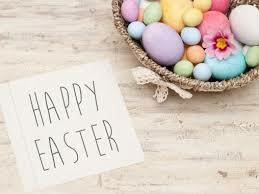 The MDSC Board would like to say have a wonderful and safe Easter long weekend!